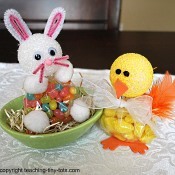 Toddler Recipes: These cute Easter treats are perfect for an Easter party or to share with classmates! 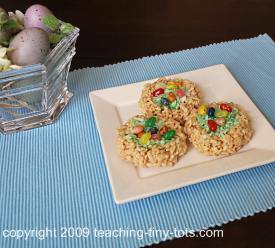 Mold Rice Krispie treats into nests and fill with colored coconut and candy eggs. Tint coconut by placing 1/2 cup coconut into a small ziplock bag. In a very small dish put a 1/4 tsp water with one drop of dye. Add a second drop for darker tint. Add to ziplock and shake until coconut is tinted. 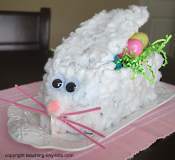 Have children fill cooled nests with tinted coconut and small candies. 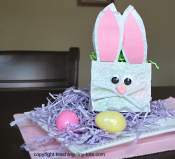 Build nests on waxed paper or lightly sprayed surface with Pam. 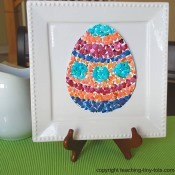 Spray hands with Pam or put a little butter on your fingers when shaping the nests. Write out the recipe for your child to follow. 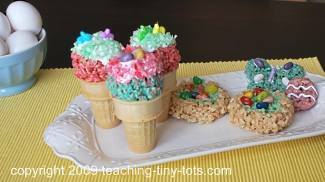 Line up the ingredients on the counter so they can match ingredients on the recipe and follow along as you make the Rice Krispies treats.